The Pueblo Police Department, the Colorado U.S. Attorney's Office, and the FBI Denver Division, all partners of the Southern Colorado Safe Streets Task Force, announced the seizure of historic amounts of heroin from two homes and a business located in Pueblo. Following the seizure, the U.S. Attorney's Office obtained grand jury indictments charging five people with distribution of drug charges. Four of the five were also charged with federal firearms violations. All five are in federal custody with charges pending. Daniel Vasquez, charged with Possession with Intent to Distribute heroin and Felon in Possession of a firearm. Roger Bujanda, charged with Possession with Intent to Distribute heroin and Felon in Possession of a firearm. Jesus Mercado Valdez, charged with Possession with Intent to Distribute heroin and Felon in Possession of a firearm. Gage Rael, charged with Possession with Intent to Distribute heroin and Felon in Possession of a firearm. Leonard Aragon, charged with two counts of Possession with Intent to Distribute heroin. 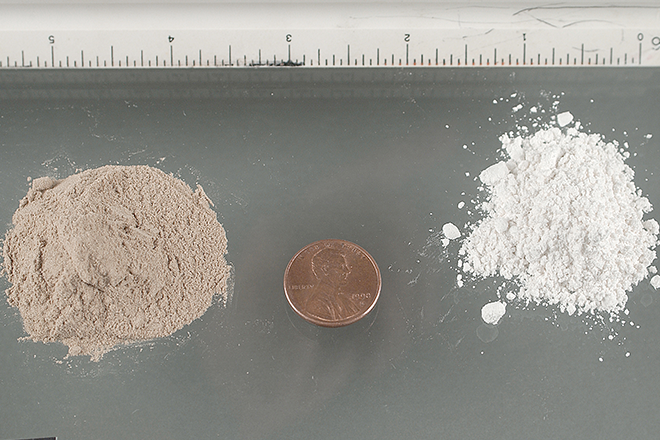 The heroin alone is worth about $8,000,000. If cut for sale, it could provide up to 40,000 user doses. Over $300,000 in cash was found at one home where much of the amount of the heroin seized, along with assault weapons. The heroin was distributed in Pueblo, and was not being stored for distribution elsewhere. Sentences for heroin distribution depend on the weight of the drugs seized. Distributing a kilogram - more than two pounds - carries a sentence of 10 years to life in prison, along with a fine up to $250,000. Charges of being a felon in possession of a firearm can result in a sentence of up to 10 years in prison, and up to a $250,000 fine. "Solid relationships between law enforcement and prosecutorial offices at all levels, Federal, State and Local, creates an effective tool for dealing with violent crime," said Pueblo Police Chief Troy Davenport. "FBI Safe Streets is a great example of those relationships and the kind of effort that our citizens deserve. Our community is much safer today because of this relationship and cooperative effort."